← Phòng tránh hạn, mặn ngay khi còn lũ! 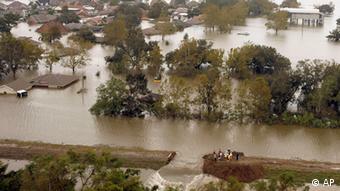 Hurricane waters flood a community after a levee breaks. As renowned for its cultural individuality as it is for the threats it faces at the hands of climate change, New Orleans has felt nature’s wrath hard enough to know it has to find a way to live in harmony with the water that laps at its door. Even when fierce storms come knocking. In the 11 years since Hurricane Katrina caused 100 billion dollars of damage and drove 1.5 million to flee their homes, the city has reconstructed levees and built a network of pumps and floodwalls to protect against 100-year floods – weather events that have just a 1 percent chance of occurring in any given year. Climate change could alter these chances. The plan for coastal development, which is part of the 100 Resilient Cities project, is to adapt to its surroundings and the threats that go hand-in-hand with climate change, and mitigate its own contribution by reducing locally produced emissions. The idea is to achieve these goals by improving drainage and transport systems, spreading awareness of the need to think environmentally, offering incentives to homeowners to use renewable sources of power and retrofit their properties for greater storm resilience. 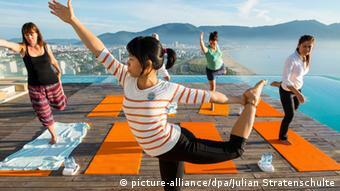 Guests practice Qi Gong on the roof of a hotel in Da Nang. The beach town is popular with tourists. Situated on the coast at the mouth of the Han River, Da Nang is the third largest city in Vietnam. A popular tourist destination, it is growing at a rapid rate. So too are the pressures upon it. Prone as it is to storms and typhoons sweeping in from the South China Sea, construction on floodplains increases the risk and indeed the severity of resulting flooding. Such extreme weather events tend to affect those living in homes not resilient enough to stand up to their force. Families whose houses are hit often find it hard to cover the cost of patching up the damage, let alone reinforcing their properties for better protection in the future. An initiative called simply “Building Storm-Resistant Houses” works toward changing that. Winner of a 2014 United Nations Momentum for Change Award, the project has facilitated micro-loans that have helped hundreds of families make their homes stronger. This approach to stabilizing the city’s buildings and securing the lives of its residents has been adopted into its resilience strategy. 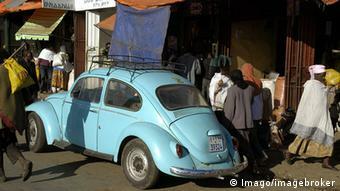 Many of the cars in Addis Ababa are old and heavy polluters. Addis Ababa has grown rapidly in a short time, doubling in size over the past 15 years. A quarter of Ethiopia’s population lives here. That’s 3.3 million people. The city’s growing population – mainly a result of rural flight – is placing huge pressure on infrastructure. Most households aren’t connected to any water supply. The inhabitants fill up instead at waterholes, rivers or wells that are often contaminated with feces or industrial waste. Sewage is also a problem. The sanitation system hasn’t grown with the population, and doesn’t meet the needs of a major city with millions of dwellers. A further problem is air pollution. The city is full of old, inefficient cars, factories spew smoke skyward and most homes use wood to cook and heat. But Ethiopia’s government is trying to tackle Addis Ababa’s environmental problems and the effects of climate change with its green economy strategy, published in 2011. The aim is to achieve economic growth – but not at the expense of the environment. Under the plan, Addis Ababa has boosted public transport with a light-rail transit system and “energy-friendly” express buses. Ethiopia’s capital has also made commitments to reduce greenhouse gas emissions as part of the C40 Cities Climate Leadership Group, a network of the world’s megacities taking climate action. It might not be apparent at first glance, but Colombia’s capital city Bogotá is just a stone’s throw from from one of the greenest and most biodiverse regions in the world. With a population of almost 7 million, it’s not only the largest urban area in Colombia – it’s also one of the fastest growing cities in South America. When Spanish conquistadors arrived in the area near what is now the capital in the middle of the 16th century, they found a world of moors and moss, lagoons and lakes. They dubbed it the “land of mist.” This is a place rich in biodiversity – 60 percent of the plants are unique to the region. It’s also home to Chingaza national park, Colombia’s most important source of water and Bogotá’s fresh water reservoir. The country’s water supplier has bought half of the park to protect the supply, which is in turn a boon for the plants and animals around the city. 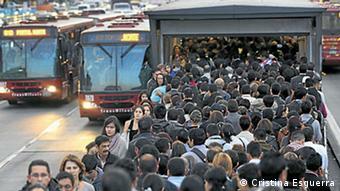 But much is happening in the city proper to protect the environment and climate, particularly in public transport. For instance, its rapid bus transit system Transmilenio, which was established in 2000, brings around 70 percent of the population to their destinations. That saves around 350,000 tons of damaging vehicle emissions each year. The company is planning to swap its old diesel buses for hybrid vehicles. The same goes for the city’s taxis. The tranquil city of Freiburg, with its beautiful old houses and the surrounding idyllic countryside, sees itself as the birthplace of Germany’s environmental movement. Back in the 1970s, eco-conscious inhabitants took to the streets in protests against a nuclear power plant. Germany’s Green Party was born out of this same movement, and has pushed forward many environmental policies since. The city is proud of its green side, and is keen to keep up its sustainable image. Since the start of 2011, a specialist team for sustainable management has been reporting directly to Freiburg’s mayor. The team steers the city’s sustainability concept, gathers know-how and prepares for future challenges. 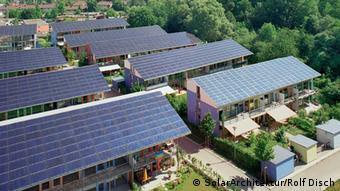 In 2012, Freiburg received the National German Sustainability Award for being Germany’s most sustainable major city. A short walk around town shows why. Solar panels are everywhere, including on the football stadium, city hall, schools, churches and even waste processing centers. Solar power makes sense for Freiburg, because it enjoys more than 1,800 hours of sunshine a year – making it one of the sunniest cities in the country. The goal is to make the city and its environs 100 percent renewable by 2050. This entry was posted in Climate Change, English / Tiếng Anh and tagged 100 Resilient Cities, climate action, climate change, extreme weather events, Storm-Resistant Houses. Bookmark the permalink.